What's a Pastor to Do? 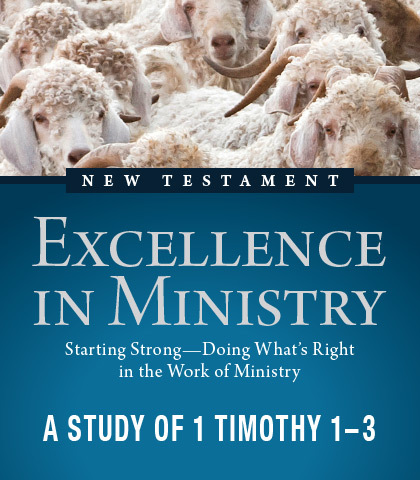 First Timothy, the flagship of Paul’s “pastoral” letters, details the role of the pastor and the function of the church. Our goal is to glean from this first-century epistle some of the concerns and pitfalls of ministry and apply God's instructions to the 21st-century church. This study offers insight on the biblical theology of ministry—as opposed to an approach to ministry based on experience, opinion, prejudice, culture, and preference. Let’s keep a keen eye on what is written in God’s Word and then do our best to let it shape our thinking.